There are various options available – please get in touch if it all seems a bit overwhelming! The prices stated here are applicable to fabrics that are currently in stock. These nappies are like all in two nappies except they contain a hidden layer of polar fleece in the shell instead of PUL, sandwiched between cotton/plush/velour. Hybrids, as the name suggests, can be used in two ways – like an all in two or like a fitted nappy. 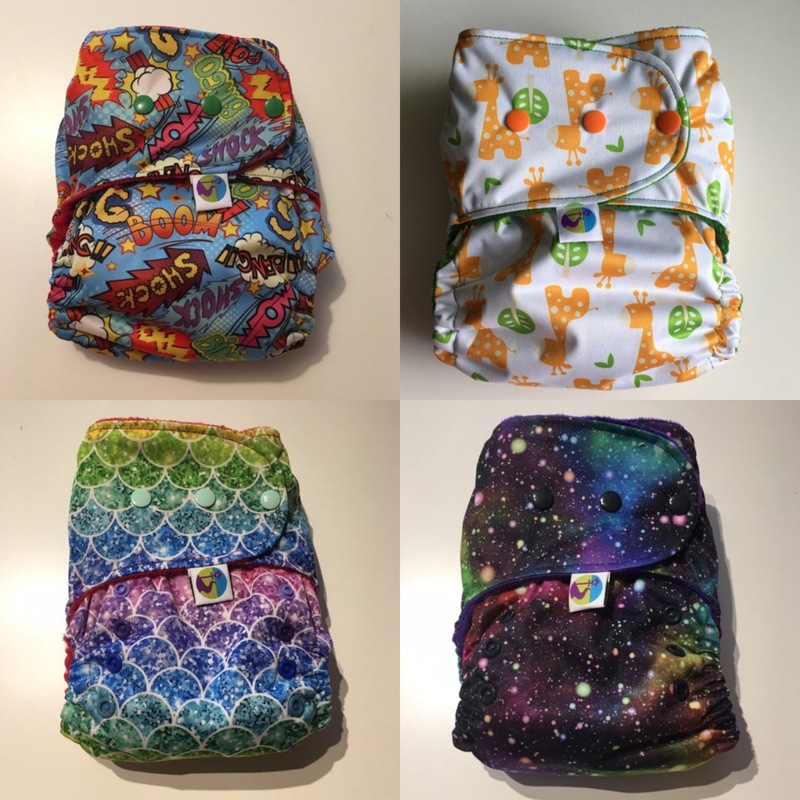 We like to use these nappies like fitted nappies (i.e. 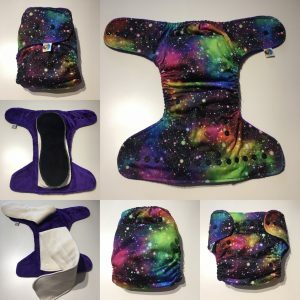 with a cover) for periods of extended wear, because the polar fleece inside the shell acts as another water repellent barrier, driving wetness back into the inserts, or these nappies can be used without a cover for shorter periods (upto around 3 hours for an average wetter), like an all in two nappy, as long as clothing isn’t so tight that it puts pressure on the fleece to let wetness through. I can also make standard fitted nappies (i.e. without the hidden layer of polar fleece). 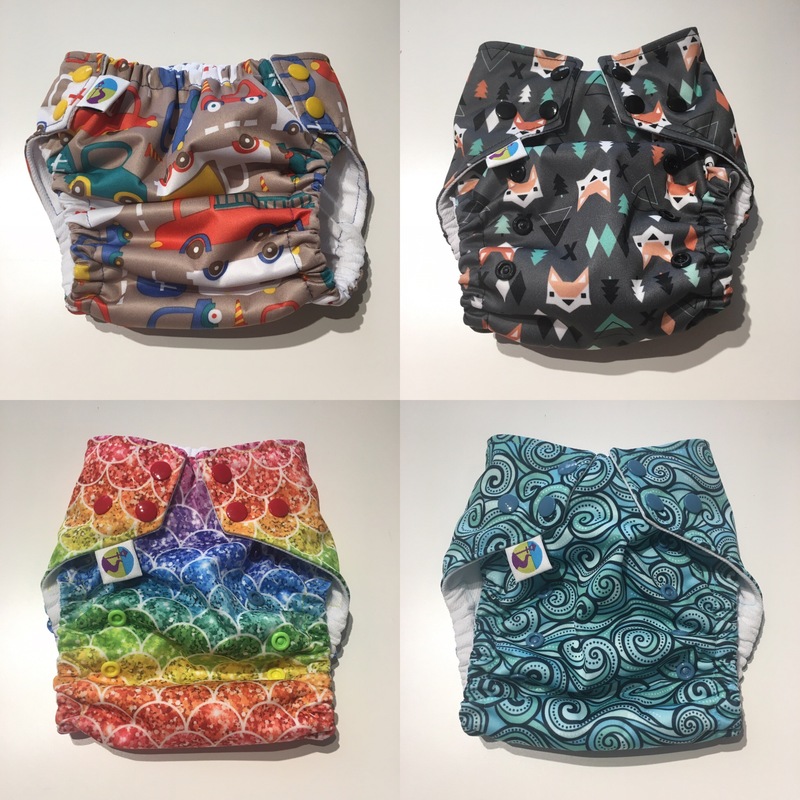 These work brilliantly at containing mess whilst your little one is having fun in water, such as in the swimming pool, at the beach or in the garden. 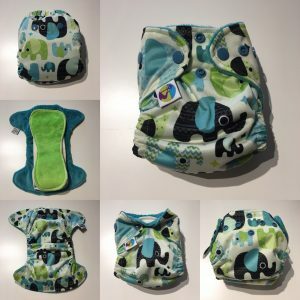 Swim nappies aren’t meant to contain wee, they don’t include any absorbency like ordinary nappies, and if there did then it would weigh the child down in water. If you’re using any swim nappy in a public pool, please check the rules on whether they require an outer neoprene nappy cover to be used in addition to the swim nappy (reusable or single use). These nappies comprise an outer layer of PUL, available in various fun designs, and a lining of athletic wicking jersey – this is designed for sportswear, it feels lovely and soft against the skin, and it doesn’t absorb water. 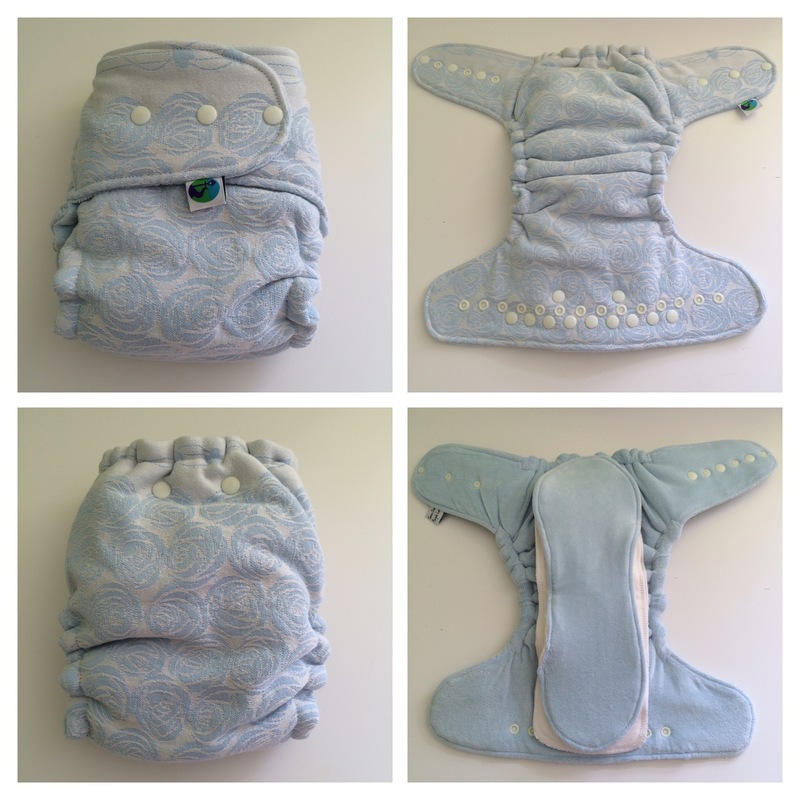 Snaps on the rise make the nappy really adjustable, to help achieve a great snug fit around the legs. Elastic on the front as well as the back helps to achieve a great sung fit around the waist. A triangle of snaps on each wing helps keep the wings firmly in place around the top of the legs, ensuring the fit lasts during activity.